As of Friday 15th March, there are only a few places left at the Conference. You can still book below -- we'd love to see you there! -- though you may not appear in the participant list if it has gone to print. It is now too late to participate in these meetings. Book your place for the Day One Conference below . . .
For much more on our speakers click here. We are pleased to announce that this year’s MAA Conference Gold Sponsor are American Express. American Express have recently launched multiple B2B cash flow solutions for both buyers and suppliers, which allow your business the power to grow through effective working capital management. 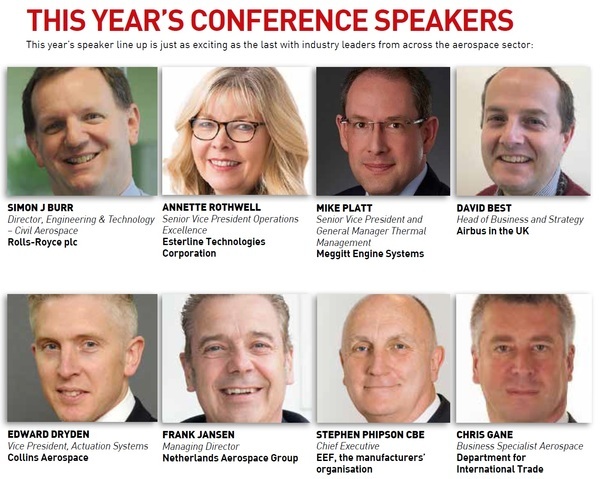 Aero Engine Forum supported by the leading companies in the Midlands aerospace industry. Click here to read their full endorsements. Click here to check if your company is a member of the MAA. Please state in the notes box below if are are a member of ADS or another UK regional alliance.